Ladies, you are warmly invited to the next Women's Breakfast here at BTC. 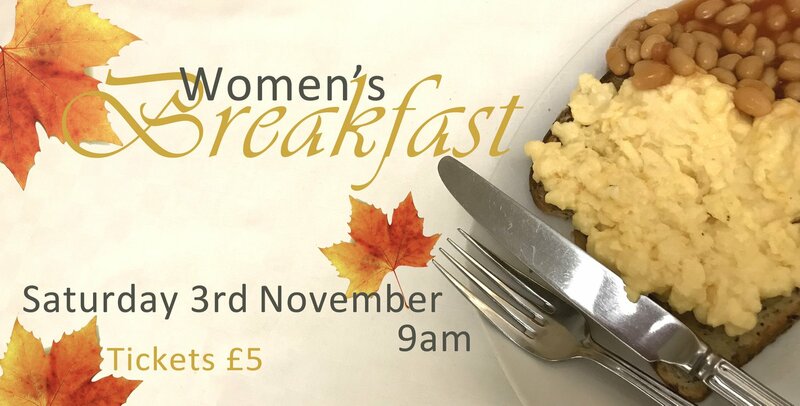 You can enjoy a fabulous cooked and continental style buffet breakfast while chatting with friends, and have the opportunity to listen to some inspiring life-stories from some of our own BTC women. A great way to start your weekend! Tickets are £5 and available to buy online, or by popping into the Church Office during the week.